The Anderson School | Run S.M.A.R.T. Run SMART Kids warming up before their “interval” training or continuous relay races. 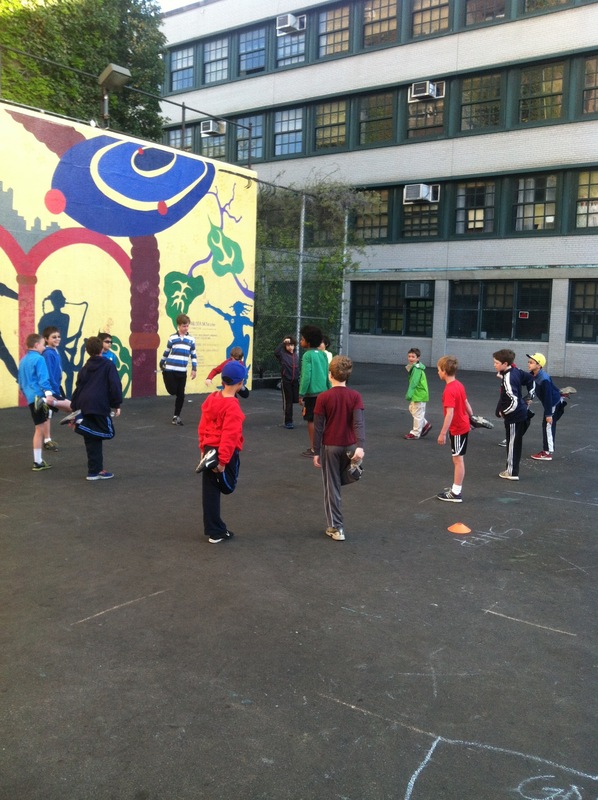 We just finished week #8 at The Anderson School on the Upper West Side. We’ve had a busy program thus far. In week #4 we focused on proper running form, which included a bean bag relay at the end of the session. In Week #5 we focused on heart rate education showing the kids how to count their heart rate and measure it after different types of running efforts. In week #6 we did some classroom work on proper nutrition for runners. In week #7 we focused on our universal theme – proper pacing.